The central nervous system is part of the Human Body systems, and is the main control centre for our functioning. The Brain sends signals to other parts of our body to tell it to move, eat or sleep. It also uses fuel, and communicates with the rest of the body to signal when it hasn’t had enough – or too much. The brain is such an essential part of our body – and yet how much do we know about it? Your brain is the control centre of your body. It runs the show and controls just about everything you do, even when you’re asleep. 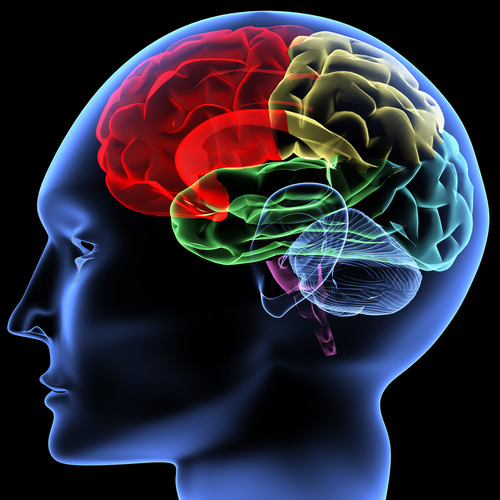 The cerebrum makes up 85% of the brain’s weight, and is the thinking part of the brain. The cerebrum controls your voluntary muscles — the ones that move when you want them to. Your problem solving, short and long-term memories live in the cerebrum. The cerebrum has two halves, with one on either side of the head. Scientists believe that the right half is helpful with the abstract such as music, colours and shapes. The left half is the analytical side which aids mathematics, logic and language. The right half of the cerebrum controls the left side of the body, and the left half controls the right side. The cerebellum, at the back of the brain, controls balance, movement, and coordination. This is how we can stand upright, keep our balance, and move around. The brain stem sits beneath the cerebrum and connects the rest of the brain to the spinal cord, which runs down your neck and back. The brain stem is in charge of all the functions your body needs to stay alive, like breathing air, digesting food, and circulating blood. Part of the brain stem’s job is to control your involuntary muscles, in your heart and stomach for instance. In addition it is also the brain stem that sorts through the millions of messages that the brain and the rest of the body send back and forth. The pituitary gland‘s role is to produce and release hormones into your body. This gland also plays as a regulator of hormones, and keep tabs on sugars and water in the body. It plays a major role in the metabolism. The hypothalamus is like your brain’s inner thermostat, and regulates body temperature. Cleverly it makes you sweat or shiver, to get the body temperature back where it should be ( 98.6°F or 37°C). So what can we do to make the brain continue at its best? Protect your head when you’re doing sports. Brain fog is not fun for you – or the brain. Moderate alcohol and tobacco. And – don’t do drugs!. Avoid brain drain – challenge it with activities, such as puzzles, reading, playing music, making art, or anything else that gives your brain a workout! What is certain is that the brain cannot function properly without fuel. 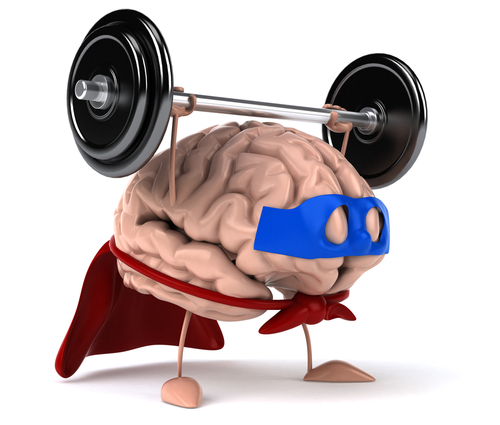 20 % of the energy used by the human body is consumed by the brain – which is more than any other organ. 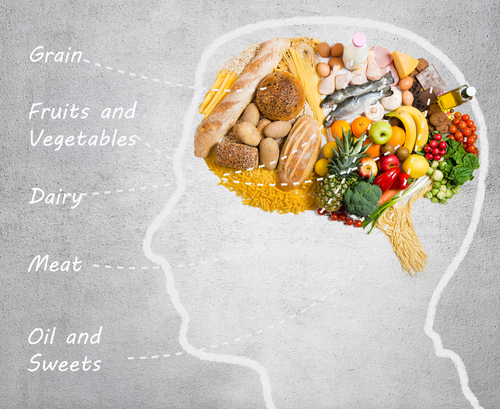 Normally brain metabolism relies on glucose as an energy source, but at time of low glucose (fasting, exercise or low carbohydrate intake), the brain will use ketone bodies for fuel. It continues to feed. The brain can also utilise lactate during exercise. The liver helps here by producing ketones as the long-chain fatty acids cannot cross the blood-brain barrier. You can read more in details about the brain, and how it inter-relates with the rest of the body in this dictionary entry about the Brain in Wikipedia. If we do not keep our brain properly fed, exercised and well fuelled the consequences can be dire. Consider that the brain represents only 2% of the body weight, yet it receives 15% of the cardiac output, 20% of total body oxygen consumption, and 25% of total body glucose . If the brain is left without glucose, in hypoglycemia, which can result in loss of consciousness. The ultimate consequence of a brain that has stopped working is terminal – end of the line. Now we start to see how the Human Body Systems, and the human brain connect with the Body and Mind issues that relate to lifestyle change – and why the ‘back to school’ sessions made sense. With these basics under our belt we can really tackle the ‘heart of the matter’. The Body and Mind connection come into play, and then we start to see why lifestyle changes really make sense – and a huge difference to how we feel and live. How is Body and Mind connected – and what makes us feel better, be better and do better? How do you feel now? Brainy?